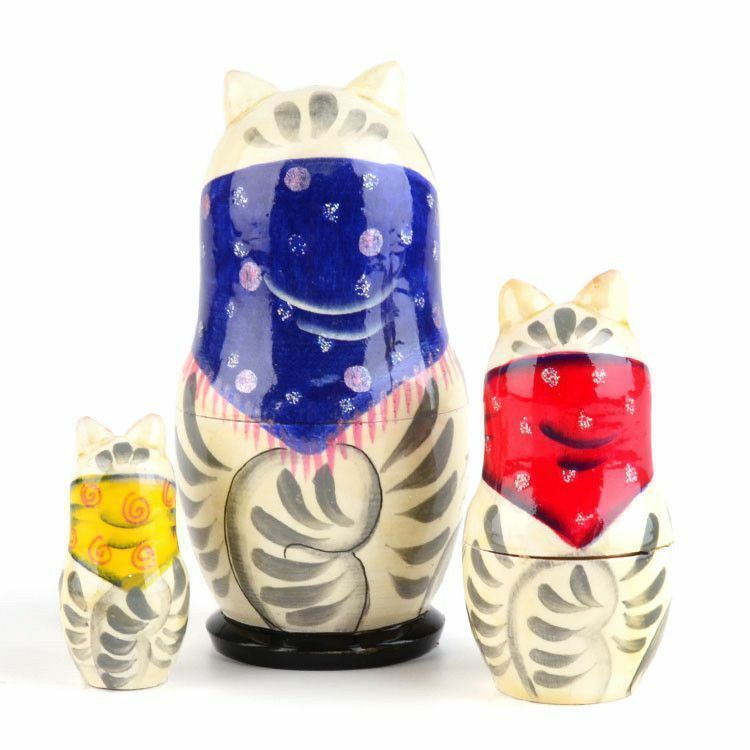 This cute kitty-cat nesting doll stands nearly four inches tall, and features little ears that stick out and sparkle accents. 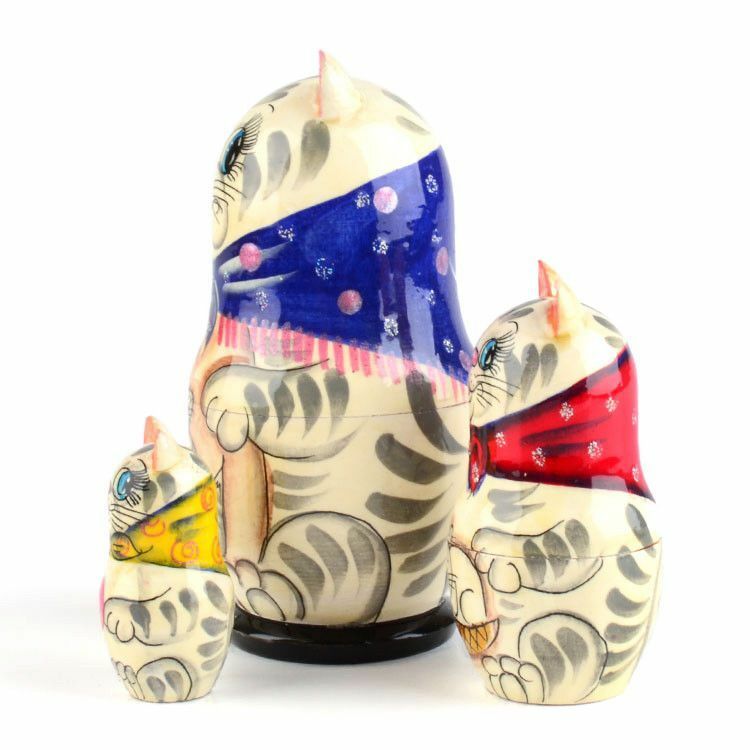 The white and grey cat wears a traditional Russian shawl. 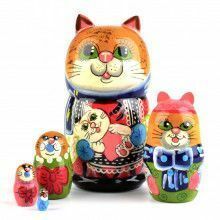 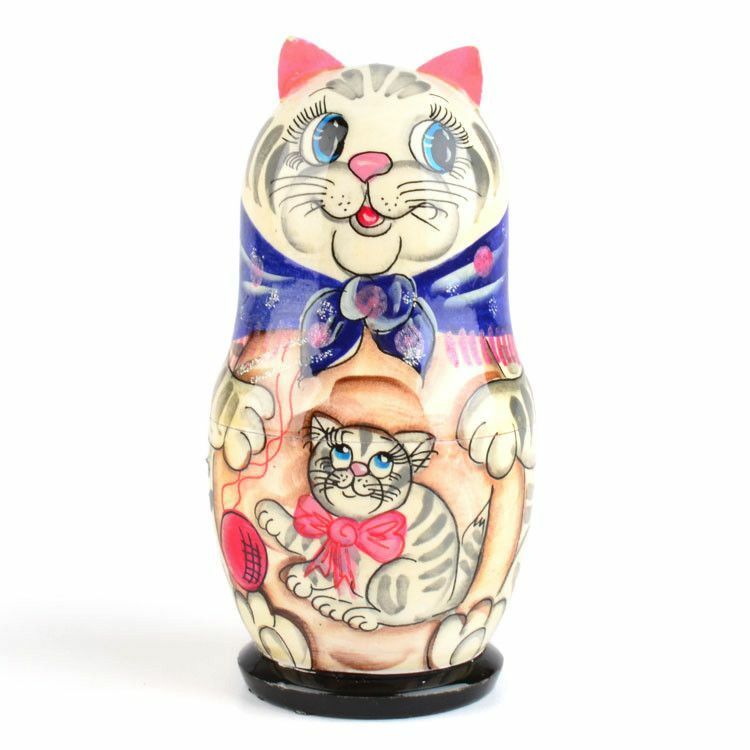 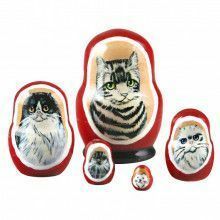 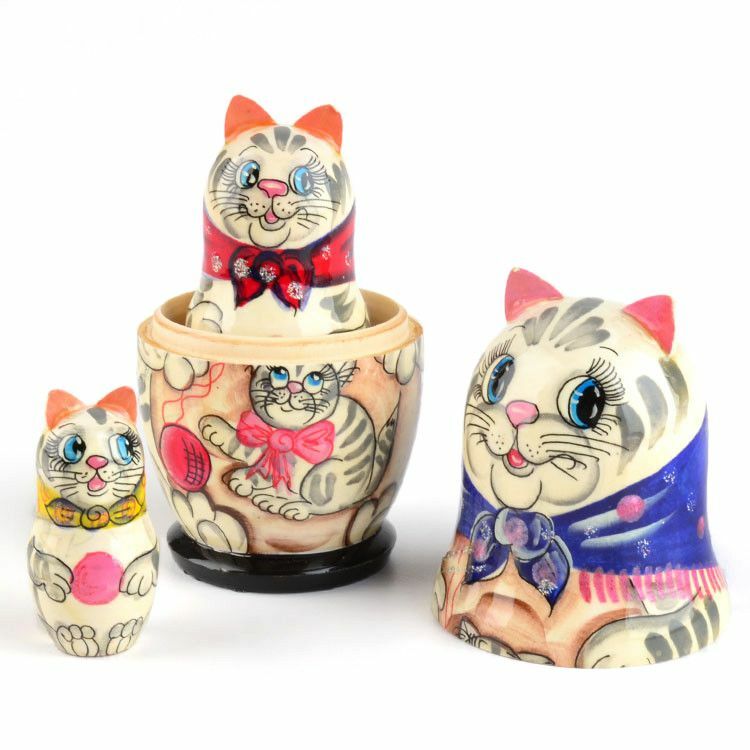 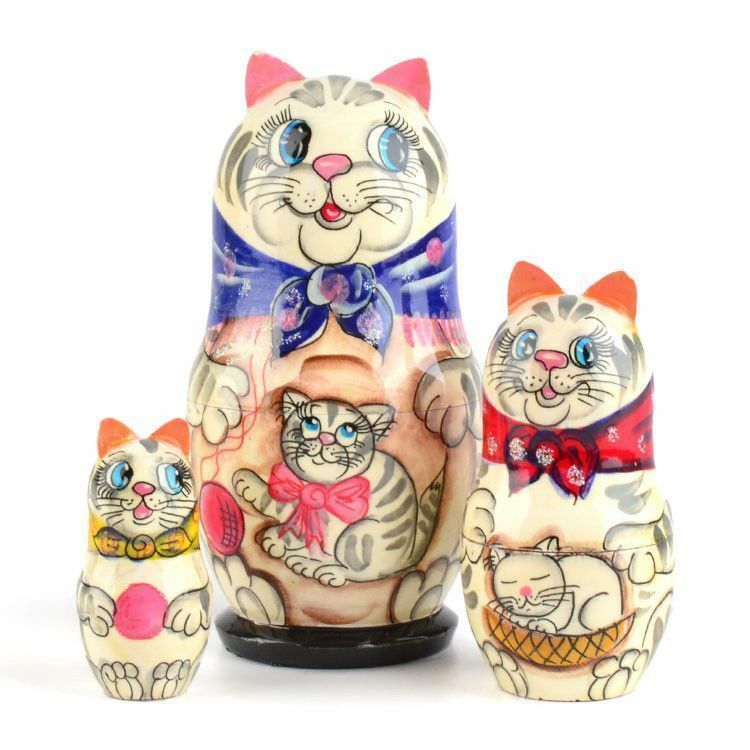 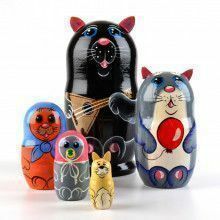 This kitty-cat nesting doll would be a wonderful gift for any cat lover! 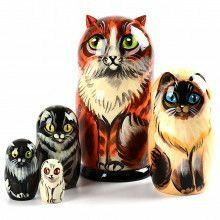 It is gloss finished and ready to ship!